For a floral gift that will certainly make an impression, you can't go wrong with this luxurious silk rose plant. Perfect for any area of the home, this silk plant will boast the most beautiful blooms without fail. Since this plant requires no watering or pruning, it's perfect for anyone - especially those with busy schedules. 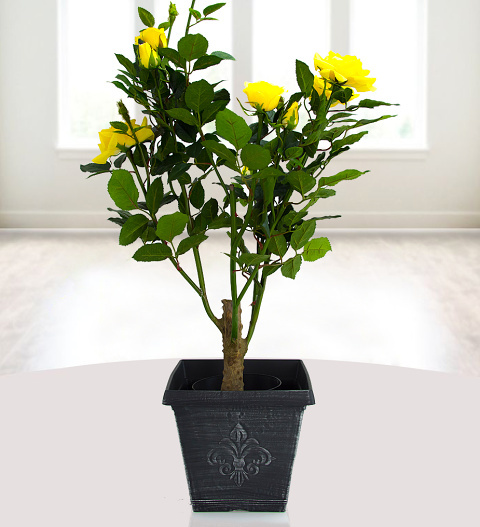 Spruce up your own home or send this lovely large rose plant to a loved one for any occasion.